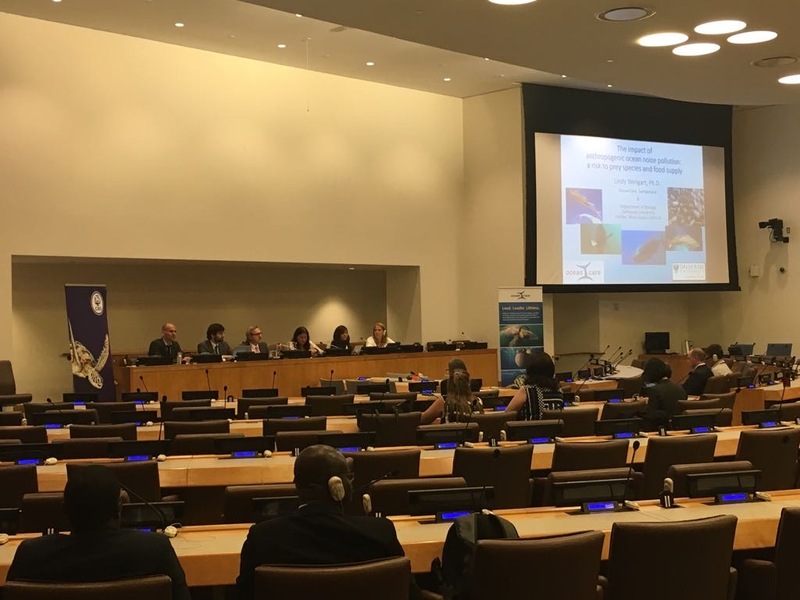 New York/Bonn, 27 June 2018 – From 18 to 22 June 2018, government representatives and experts gathered at the Headquarters of the United Nations to discuss the issue of anthropogenic underwater noise in the context of the UN consultative process on Oceans and the Law of the Sea (ICP-19). 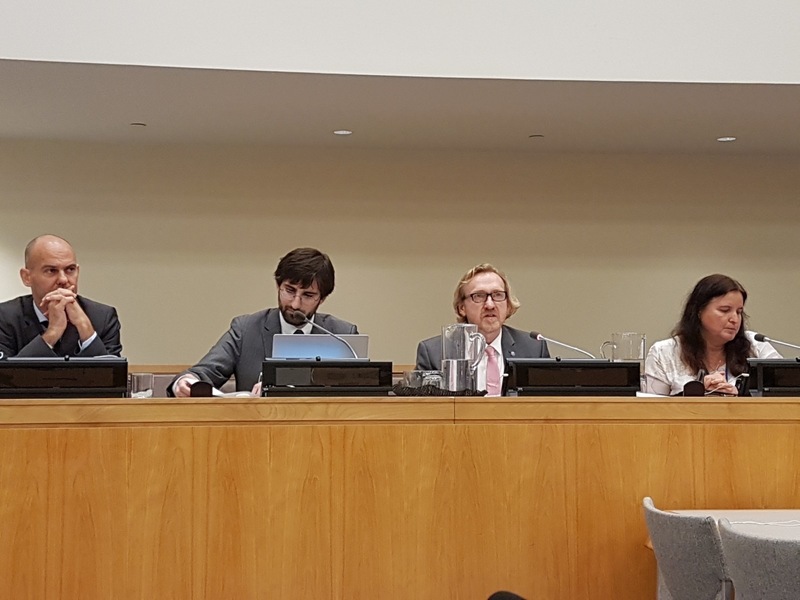 CMS Executive Secretary, Bradnee Chambers, delivered an opening statement and brought the CMS Family Guidelines on Environmental Impact Assessments for Marine Noise-generating Activities to the attention of UN Member States. The Guidelines were endorsed by the CMS Conference of the Parties in Manila in 2017. 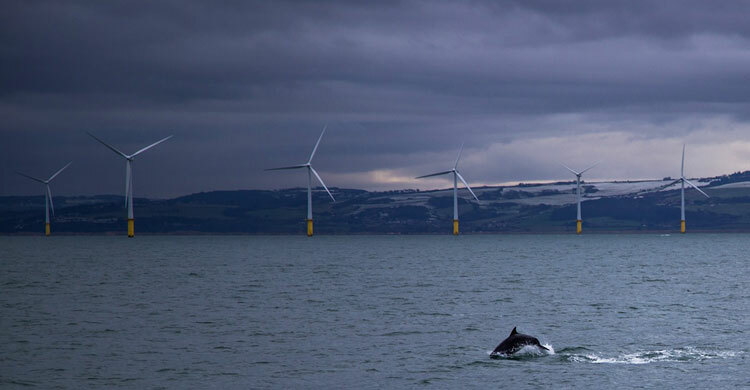 Over the past decade, noise-generating activities by humans, such as the offshore oil and gas industry and shipping, have made the oceans an ever-louder place, to the extent that vital life functions of many marine species are affected. This can have serious implications both for efforts to protect migratory and other threatened species, as well as for tourism, fisheries and the entire marine food web. Both in their statements and in discussions throughout the week, countries emphasized the timeliness and importance of the topic of this year’s ICP meeting. In a well-attended side event held on the first day of the meeting, CMS, the Principality of Monaco and the CMS partner organization OceanCare focused on ‘The Role of Environmental Impact Assessments in Managing the Impacts of Noise on Marine Food Web and Higher Trophic Levels’. Among those giving representations were Dr. Weilgart (Dalhousie University) speaking about ‘What science tells us. 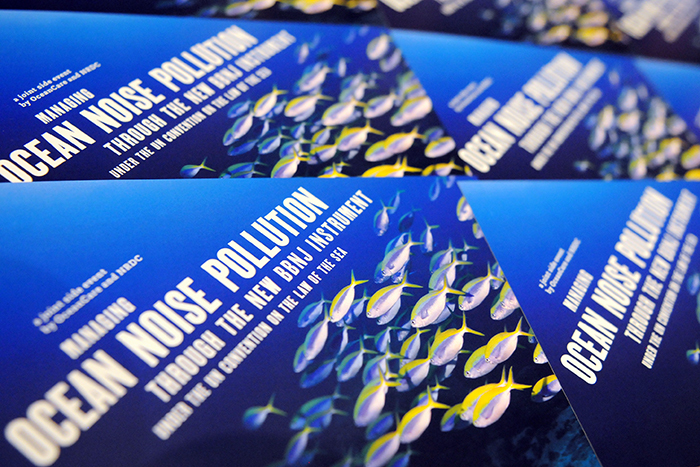 The impact of anthropogenic ocean noise pollution, a risk to prey species and food supply’; Ms. Toole (OceanCare) speaking about ‘Underwater noise and the Sustainable Development Goals’, Ms. Frisch-Nwakanma (CMS Secretariat) addressing ‘How the CMS Family Noise EIA Guidelines support the assessment of the potential impacts of noise generating activities’, and Mr. Entrup (OceanCare) focusing on ‘Best practice. Regional, technical and capacity-building approaches. A way forward’. 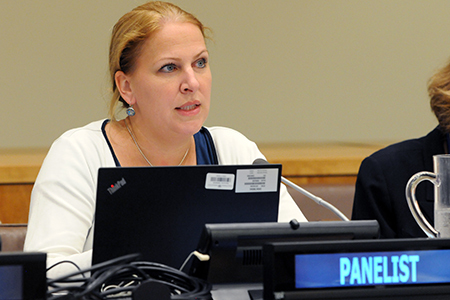 On 19 June, Ms Heidrun Frisch-Nwakanma, the lead officer on the subject of underwater noise at the CMS Secretariat, was invited to present the CMS Guidelines to ICP-19 in a panel dealing with ‘Cooperation and coordination in addressing anthropogenic underwater noise’ (available here). Other organizations presenting in the same panel included the International Maritime Organization and the International Whaling Commission, followed by regional entities such as the European Commission and OSPAR, as well as examples of national and local initiatives, the next day. Member States attending the events in New York also spoke favourably about including a reference to the CMS Guidelines in the next General Assembly Resolution on ‘Oceans and the law of the sea’. Further, the concept of recognizing anthropogenic underwater noise as a form of pollution was met with general approval. 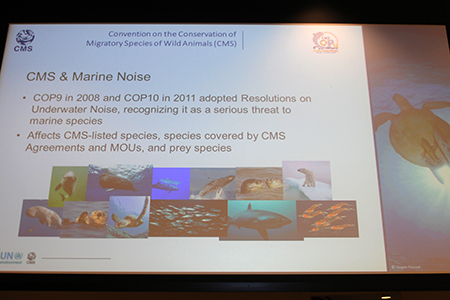 CMS Parties will be uniquely placed in ensuring that this issue, which is of such key importance to many migratory species covered on the CMS Appendices, as well as to their prey, will receive the international recognition it requires to be adequately addressed. 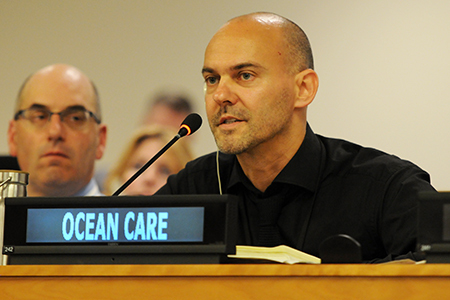 More information on the 19th meeting of the Open-ended Informal Consultative Process on Oceans and the Law of the Sea (ICP-19) can be found here; related ENB coverage of the meeting can be found here).